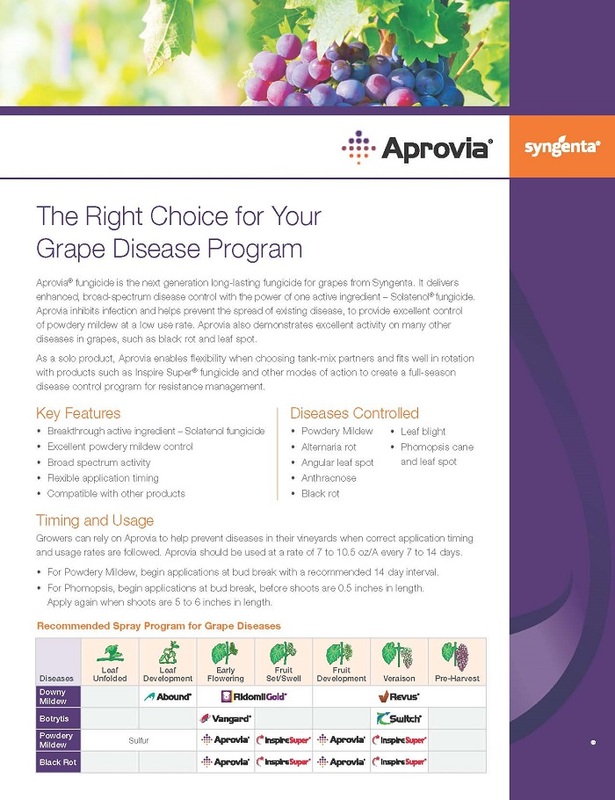 Aprovia fungicide is the next generation fungicide for grape and pome fruit disease control. 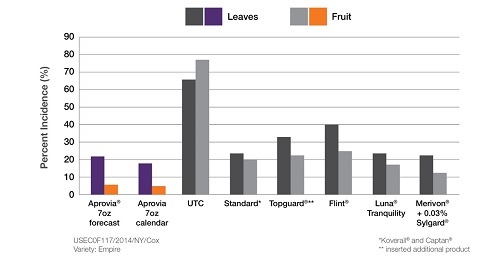 Containing Solatenol® fungicide, the most potent SDHI fungicide on the market, Aprovia is a powerful tool for growers. Aprovia fungicide offers next generation broad-spectrum disease control and contains Solatenol, the most potent SDHI fungicide on the market. 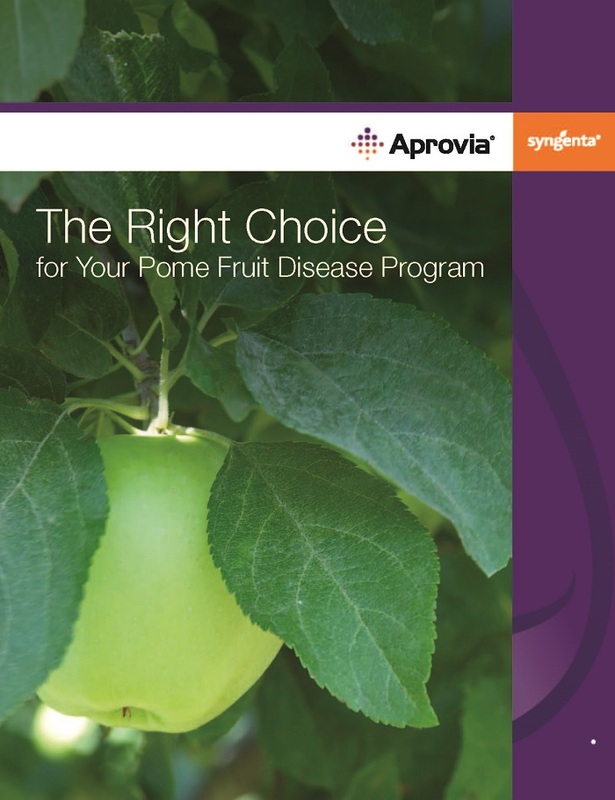 Talk to your local Syngenta retailer to find out how Aprovia fungicide can fit into your disease management program.